Though my left leg hasn’t fully recovered from my most recent mishap, I couldn’t let my plane ticket to Busuanga go to waste. The round trip ticket from Manila to Busuanga in Palawan only costs 453.44 Pesos, booked through Cebu Pacific’s seat sale last March 2009. Even if only one foot of mine is fully functional while the other had 7 stitches, I was determined to have a great time and do some hiking! From the Francisco B. Reyes airport in Busuanga, we took a 45-minute aircon public van (150 pesos/head – standard rate) towards Coron – where most establishments are. I didn’t see any alternative transportation from the airport so I guess almost everyone takes the public van. Cebu Pacific and PAL has their own van and they charge the same fee. On your way to Coron, mountains on both sides of the road will welcome you that you wouldn’t mind the bumpy ride along the unpaved highway. We went down at the National Highway near Sea Dive, which is just small road passable by two motorelas (a 7 seater tricycle) at a time. We didn’t have a reservation anywhere so we just asked a tour operator – the first one that caught our way from the national highway – Paradise Planet. The proprietor – Ms. Dolores expertly guided us around the side streets in search for an accommodation. Most of the inns and hostels near the highway were already fully booked due to the Kasadyaan Festival. The main activities were occurring on August 28 – a week before we arrived but guests had already started pouring in. We went to about four other lodges before landing at Krystal Lodge which was situated above the water. The good thing about it is that has an environmental compliance certificate. To get there, you enter a side street from the national highway and walk over a long wooden bridge. All rooms have a private toilet and bath. It’s quaint set-up with amazing views of the ocean and mountains makes it one of my favorite accommodations. We only had to pay 600 pesos a night and the room was good for 4 people. They also have other huts which can accommodate bigger groups. You can also have your food cooked here for a fee. They also have a lot of wooden benches where you can meditate or take a nap. My favorite time here is before 6am where the water is clear and you can see the fishes. At this time, you will hardly see any one awake and you can do some thinking. After lunch at a nearby eatery, we proceeded by tricycle towards the jump-off of Mt. Tapyas (10/head). We hiked Mt. Tapyas a little before 4:00pm. What was normally a 45 minute trek turned out a grueling 90 minutes for me and my limping foot. My friend Cons was nice enough to wait for me. Along the way, we encountered a beautiful 11-year old girl named Michelle who followed us until the shed before the summit. That girl told us a lot of odd stories about Mt. 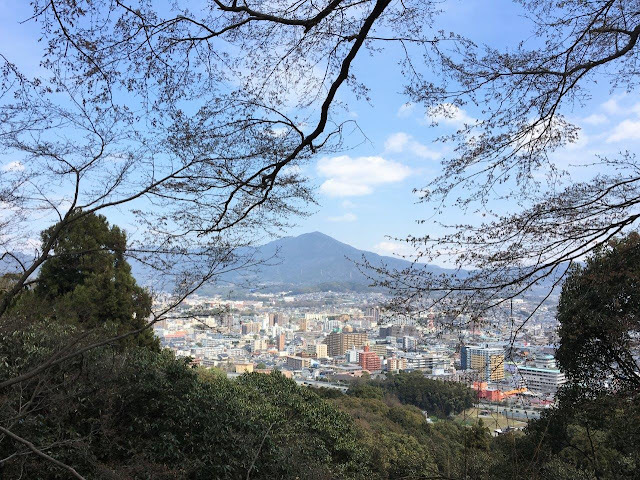 Tapyas – mostly unfortunate accidents – about people falling down from the mountain, ghosts, witches. I find her adorable still though. We also met Charlie, a photographer with huge lens – sort of like the ones I see in National Geographic. I was so amazed I blurted out “Wow, ang laki ng lens mo!” (“woow, your lens are so big”) which did not sound too innocent. I was glad he didn’t take it the wrong way as he warmly chatted with us after that. He also went with us to Mt. Maquinit which is the ideal place to go after a short hike at Mt. Tapyas. From the foot of Mt. Tapyas, we hired a tricycle towards Maquinit Hot Springs. My friend Jules and Glee who went there before us told us not to miss it. Now I know why. The views here are amazing. 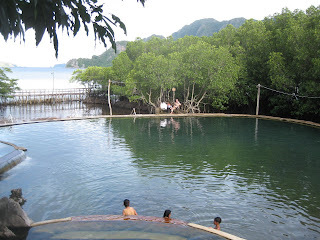 The backdrop of the Hot spring is the ocean and the mountains around it. There’s also a nice mangrove here and wooden bridges. Dinner was at Bistro Coron where we ate a satisfying meal of pizza and pasta. The smallest pizza costs 179 pesos which is good for two. That was the only thing I ate and the four slices were enough to fill me up. Cons ordered pasta and pork chop which I also tried. It was a good order as well. Meals costs 150 above. They also serve breakfast. I’m just not sure what time they open though. 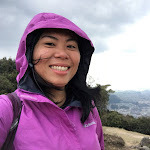 Initially, I did not want to do the normal touristy things like island hopping but because I was clumsy enough to get stitches, I couldn't climb Mt. Darala which I initially planned. I’m glad I went mainstream though. 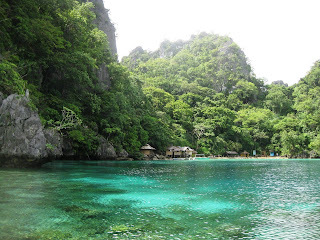 The usual tourist spots in Coron are amazing. We booked the tour via Paradise Planet. Ms. Dolores pretty much took care of us while we were they in Coron. I almost did not go because I was concerned that my stitches would hurt when it gets wet with salt water. But since I didn’t have anything else planned, I decided to join the tour. Our first stop was Siete Picados – or the seven islands which is one of the best snorkeling spots in Palawan. Water was so clear and from the boat, you already see corals and fishes. It was too tempting to miss. I took a deep breath as I went into the water from the boat ladder. Surprisingly, I did not feel any pain. 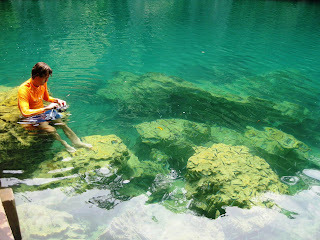 We snorkeled for 30 minutes and proceeded to Kayangan Lake, where we climbed another flight of stairs molded from soil. We also went swimming with the baby sword fishes. At 91 Beach, we ate a filling lunch of grilled tuna, cucumber and tomato salad, banana, vegetables and rice all you can. After that, we went to the Skeleton wreck where you can see the front portion of a sunken Japanese ship. It was eerily deep so I transferred to another side where I saw lots of fishes. Our final stop was CYC beach where the ocean is connected to a mangrove. View here is great – lots of mountains everywhere. We ended the night with a walk around town. Activities in anticipation for their fiesta on August 28 were ongoing – like the fair, sports events like boxing. We also got to try Mango Sling for free. Tanduay had a tasting booth set-up near the plaza. Our last stop was Kawayanan Grill Station along Don Pedro Street. I did not order any drinks as I was saving money. Cons tried the banana shake which was good. The place had an amusing garden setting where you can chill with friends. That’s basically it, my two whole days in Coron, Palawan. I reposted some travel information from my albums below and I hope this can help you when you travel here. Flight to Book from Manila:Manila to Busuanga -airlines servicing this route are PAL Express, Cebu Pacific and Sea Air (these are what I know as of this writing); How to get to Coron Town Proper from the Airport: From the Francisco B. Reyes airport, your way in and out of Coron town proper are aircon vans that charge 150 pesos/head. I didn't see any other public transportation. These vans pick up passengers after each flight. 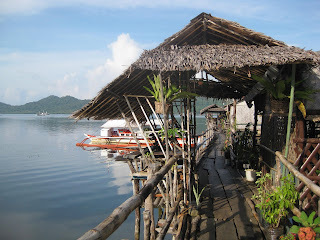 To get back to the airport, just book a van at the ticket outlet of your airline operator in Coron. They leave 3 hours before your scheduled flight. Cebu Pacific's ticket outlet is located in 183 National Highway, Coron. Accomodation in Coron : Krystal Lodge - 600 pesos/night - good for four persons;near the national highway; 10 minutes walk from the public market, general merchandise stores, bakery, internet cafe, eateries, restaurants; basic and exotic accomodations, fan rooms only, with private t&b (no hot and cold), situated above the water, with environmental compliance certificate, very great views of the ocean and mountains around Coron, no restaurant but you can have your food cooked here for a minimal fee; no television in rooms, free coffee; can have your clothes washed here for a fee. Very ideal for backpackers who love nature. 1. Sea Dive - most popular accomodation ; better get a reservation here via email and call them if they don't reply at 0920-9458714 Sea Dive has excellent reviews all over the net so it's still worth checking out. It has a great view too but I prefer the view in Krystal Lodge. Website here. Haven't tried any of these lodges so just Google these places and see if anything comes up. 1. Bistro Coron - serves American and Italian dishes like pasta, pizza, chicken wings, sandwiches. Pizza's great. The smallest and cheapest is at 179 pesos -good for two; The waitress said it was 12 inches but it looked like 10 inches to me. Anyway, it was really good and quite filling. Cheese was amazing. I prefer the pizza from Casa Napoli in Batanes though. Serving size for each meal is enough to satisfy a hungry Filipino stomach. The prize range is 150 pesos above. I don't know what time they open but they serve breakfast too. 2. The Old House - a restaurant along the National Highway which serves American and Italian food; Food here is about 150 pesos and above; They also have a budget meal -one piece chicken with a huge cup of rice. It's like 1 1/2 sold at 70 pesos. Serving size for regular meals is huge! One order can be shared by two Filipinos. We tried the budget meal and the heaping plate of Spaghetti (around 160 pesos- good for two) with Olive oil and tomatoes. Yummy! 5. Binalot – meals placed inside banana leaves; I forgot the address but this is walking distance from the public market (about 3 minutes on foot). You can ask the people in the street. I assume they all know where this is. They open at 6am. 2. Compare the rates and the inclusions when you book a tour package. Most of these islands have entrance fees so make sure it's included in the package as well. We booked our tour via Paradise Planet and we received excellent service. Contact Information below. 3. Bring enough cash as most establishments do not have a credit card facility. There are only two ATM’s in Coron – Landbank (along National road going to the airport) and Allied Bank (alogn Don Pedro Street near the town proper). 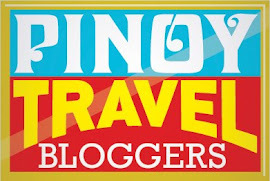 None in the Busuanga airport; There’s also Money Gram money transfer here – near the National Highway beside Palawan Pawnshop. 4. Groceries – you can buy them from Palyn store which is also along the National Highway, near Sea Dive. Prices are good. This is where we bought most of our snacks and drinks. They’re already open at 6am. *You can book this with a tour operator; For 5 islands, me and my friend paid 950 pesos each and we shared the boat with 6 other people. How to get to Mt, Tapyas : You can actually walk to the jump-off from the national road - near Sea Dive. From the National Highway, cross the street, head straight towards Palawan Pawnshop (also a prominent landmark), turn left when you see a Poblacion 4 arch and walk straight uphill until you see a tall flight of cement stairs from your left. It will probably take you 30-45 minutes to walk from Sea dive to Mt. Tapyas jump-off. An easier way is to ride a trike from the town (10 pesos per head) - that's how much we paid and there were only two of us inside the tricycle. The hike up to the summit of Mt. Tapyas will depend on your level of fitness. Some people can climb it in 30 minutes. If you're injured and walking on one foot like me, it will take a gruelling 90 minutes. The hike towards the summit is like climbing a very tall building. The trail is 100% cemented. The stairs have railings so you can use it as your support plus there are covered rest stops. Climb it in the afternoon. after the sun has stopped beating down.Open 24 hours and no entrance fees will be charged; No need for a guide. We were told that some foreigners would spend the night there. 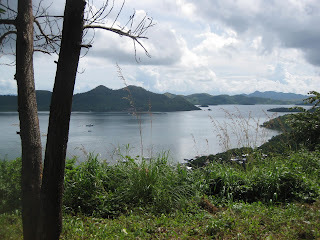 Amazing views of Coron from the summit. The vans from Coron town depart three hours before the scheduled flight. There are lots of public vans going to and from the airport and is available at every flight. While waiting for the plane, me and Connie sat in one of the cottages located at the right side of the airport building. 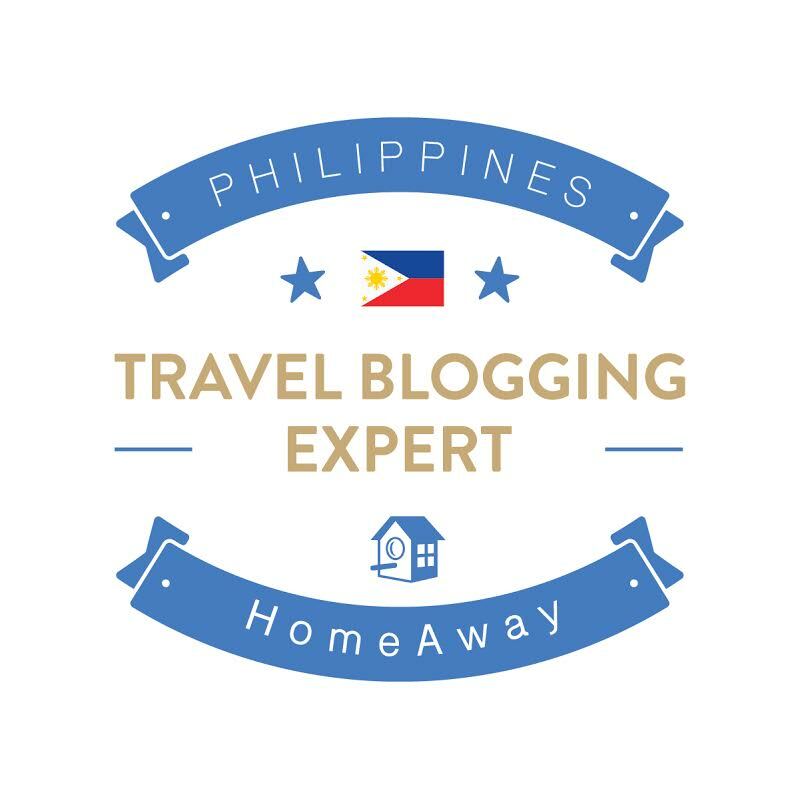 There, we were able to chat with a staff from Cebu Pacific who lived near the area. He informed us that there’s a nice waterfalls and river, about 3 minutes away from the airport. I made a mental note to check it out the next time I go here.